The Young Hoosier Book Award encourages Indiana students to read for fun. There are three levels of nominees: Picture Books (kindergarten-3rd grade), Intermediate (4th-6th grade), and Middle Grade (6th-8th grade). 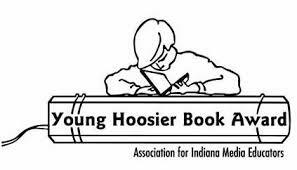 Each year, teachers, students, parents and media specialists submit suggestions to the Young Hoosier Book Award committee, who nominate twenty books in each category. Students read the books on the list and vote for their favorites. Votes are then tallied and the winning illustrator and authors are presented the award in the spring of the following year.